What does it mean to “put” the Christian life into practice? How should Christians think about the Christian walk in general? I have found that in the realm of godly writers, the closer one moves to the contemporary scene the more the books become shallow and irrelevant for true godliness and practical piety. However, sometimes there are diamonds found among the dross. It is the case with a 19th century Presbyterian minister by the name of William Plumer (pronounced Ploo-mer). Sprinkle Publications has done well to publish his books. One of the books written by Plumer is his work on practical piety. 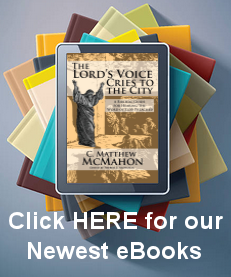 It describes those who would “make their calling and election sure.” His work helps the Christian examine himself in light of essential Gospel truth, or those aspects of vital godliness which show forth the fruit of a regenerate Christian. He covers the elements of true conviction and the fruits which should flow from such convictions before God. Not only does Plumer cover the truth and fruit of a regenerate life, but he also extricates many of the professors of Christianity from their false security. He shows how men may deceive themselves into believing that they are truly saved, when they are not. The outward working of religious exercises do not always point to a converted heart – and more times than naught they are but the seeds sown on the rocks or shallow ground. They have a form of godliness about them, but deny the power. Plumer has divided the book into 25 chapters. In them he covers such topics as “A Sense of Wretchedness,” “Conviction-Conversion,” “Faith,” “Repentance,” “The Fear of God,” “Love to God,” “Love to Christ,” “Love to Our Neighbor,” “Patience,” “Joy,” and “Zeal.” The book even has an excellent index in the back for looking up such topics. This books belongs in the realm of the Puritans. Though Plumer lived some 200 years later, the essence of his work is still very much Puritanical, or Biblical. I would recommend it to anyone desiring to engage in a hearty self-examination of their life and walk. It will help assure the Christian of his salvation, and weed out the Gospel hypocrite from his self-deception.